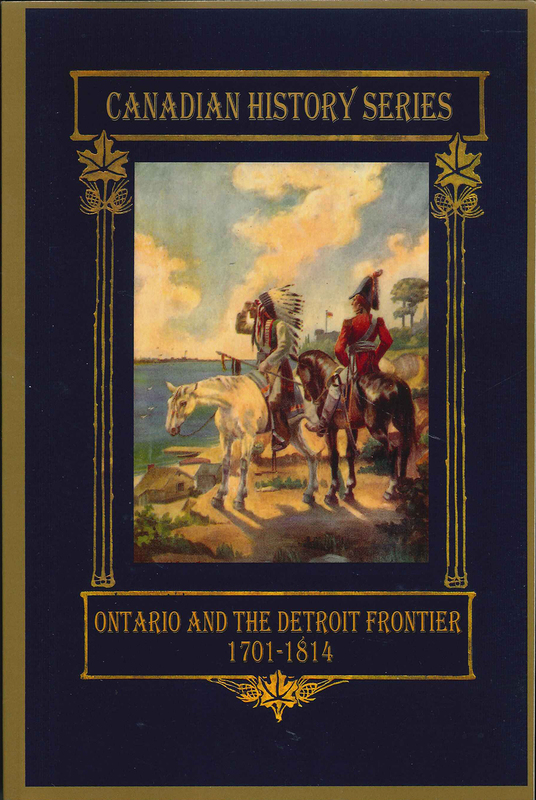 ONTARIO & THE DETROIT FRONTIER 1701-1814 by Hugh Cowan. Softbound, 320 pages, 6� x 8-1/2�. This reprint in honor of the bicentennial of the War of 1812 chronicles all major events in the Detroit River region of Ontario Canada from 1701-1814. Written in a lively and engaging style this book covers: The Genesis of Canada, the Birth of Ontario, the Early French, the Coming of the British, Indian Tribes of the Region, First Representation of Civil Law & Order, the Year of Peace, Pioneer British Settlement and much, much more.